← Our pigeons have babies!! May this holiday season sparkle and shine. May all your wishes and dreams come true and may you feel this happiness all year round!!! 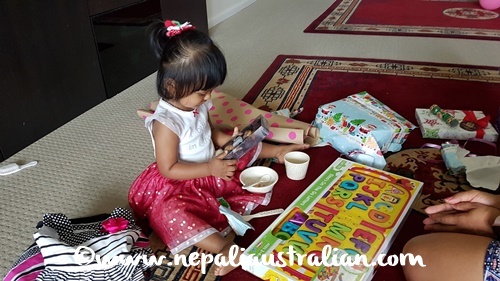 Chhori had great fun opening her presents. 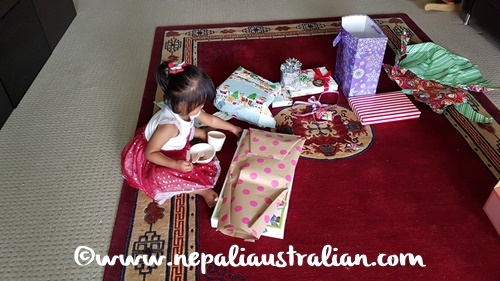 She was spoiled by everyone around us with lovely presents. 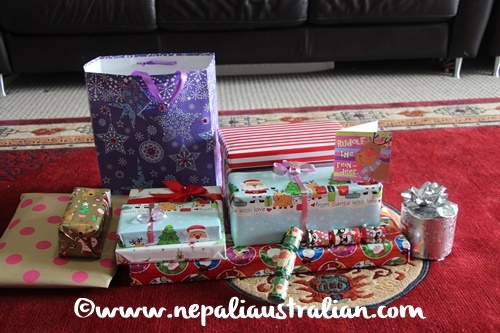 We are going away for a couple of days to Blue Mountains and Jenolan Caves with my parents and brother’s family. I will update you about our road trip when we come back. 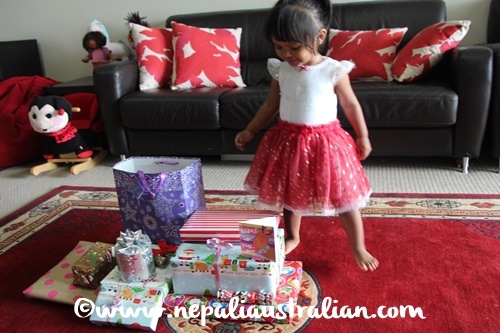 This entry was posted in Celebrations and tagged Australia, australian, australian nepali, baby, bird, blue montains, chhori, christmas, Holidays, Holidays and tagged Australia, jenolan caves, M from nepaliaustralian, Nepal, Nepalese, Nepali, nepali australian, Nepali blog, Nepaliaustralian, roadtrip. Bookmark the permalink. 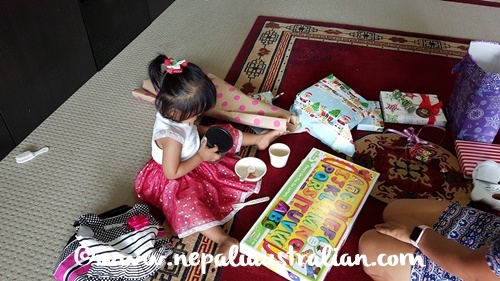 Oh, how special Chhori is while opening her gifts and playing with the puzzles, tea set and other sweet toys. Hope you had a great holiday season with your family. Thank you so much.Lots of love. Thank you dai. Hope you are having great start of 2017.